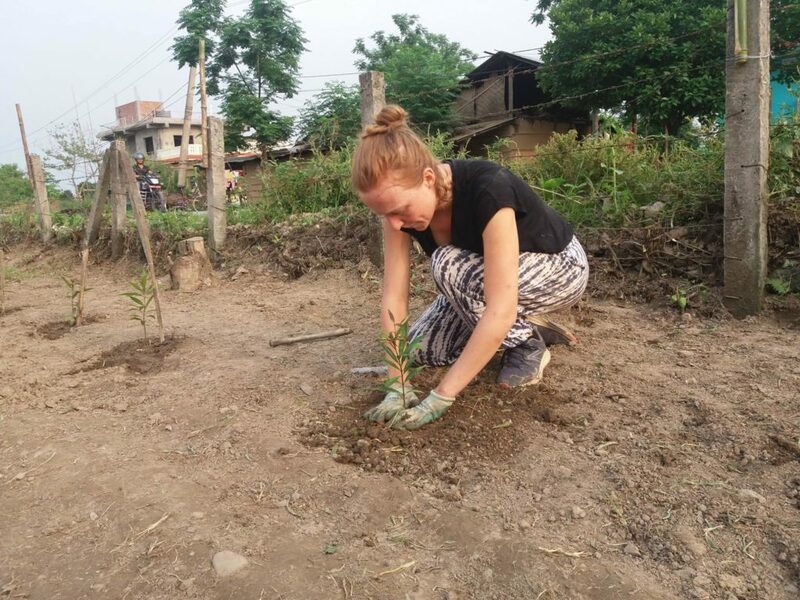 Collaborate with the local rural community and international volunteers conduct major research, promote sustainable, profitable practices to meet environmental and conservation challenges while experiencing Nepal’s Colorful culture. Due to the rapid degradation of forest and lake of an conservation awareness program to community people about environmental issues, the balance of ecology is decreasing daily flooding and pollution are the main concerns for environmental degradation We Volunteer Nepal and Local Club has always cared about environmental and conservation issues since its establishment. It has started a village based nursery in Chitwan south of Nepal am of producing and distributing forest species seedlings to Community people for the purpose of plantation. Environmental and Conservation awareness project will be defined by the smaller volunteer group either bigger group volunteers based of expertise and the needs of the village community. Example projects include: creating “green” clubs, planting a flower garden, planting trees, garbage management, recycling program, making a smokeless stove, building toilet pit etc. Volunteers may also provide assistance to youth clubs or women’s group in the community sharing their ideas, skills and knowledge about environmental issues. During their program volunteers will stay our Nepali host family in the project site. These are discrete projects in which a volunteer uses their day to day workplace skills to complete a project for you. These may include but are not limited to projects in Human Resources, Health and Safety, Strategic Planning or Project Management. These projects usually take place over the course of weeks or months and are generally 20 to 30 hours in total. If you require a larger project Volunteering in Nepal can look into getting more than one person working on it and/or break it into sub-projects for various people to work on. Requirements:- There are no specific requirements for the programs. However the best things you can have are patience and a genuine desire to help the local community. Accommodation:- A simple room with a bed. We advise you to bring sleeping bag and mosquito net with you or you can always buy here which is 2-3 times cheaper than back home. Meals:- Breakfast occurs at 7:00 am and consists of a cup of tea and biscuits. Lunch is served at 11:30 am and is usually dall/bhat( rice, lentils and vegetable curry) Dinner is at 7:00 pm and is once more dall/ bhat. The food is very simple but also extremely delicious and filling. Start date:- It is very flexible, minimum stay in this program is one week and maximum stays 4 weeks.